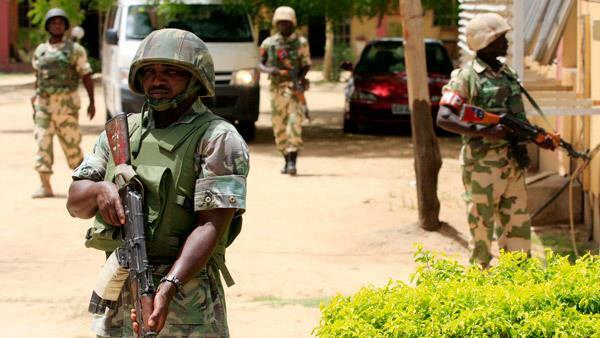 Nigeria’s military on Saturday acknowledged a major attack against it by Islamic extremists after opposition lawmakers said 44 soldiers were killed, while public pressure on President Muhammadu Buhari grew over the failure of his pledge to defeat Boko Haram. The military statement issued overnight didn’t say how many are dead after the Nov. 18 attack in Metele in the northeast, but it dismissed media reports citing even higher tolls and said the situation was under control. Nigeria is often reluctant to expose the number of casualties after such attacks by Boko Haram extremists and fighters linked to the Islamic State group. As Buhari faces growing pressure over insecurity ahead of next year’s presidential election, an aide said the president had summoned military chiefs and sent the defense minister to neighboring Chad for an “urgent meeting” with President Idriss Deby. A multinational force combating Boko Haram is based in Chad. Nigeria’s leader is “worried by Boko Haram’s renewed attacks on military bases,” aide Bashir Ahmad said in a post on Twitter. Nigerians are increasingly concerned about reports of growing casualties among troops fighting extremists. Buhari, who made the defeat of the Nigeria-based Boko Haram a major goal of his presidency when he was elected in 2015, “is preoccupied with re-election campaigns” while many homes are filled with mourners, human rights activist Okechukwu Nwanguma said in a statement on Saturday. The government under Buhari has claimed in the past that Boko Haram has been “crushed” but the extremists continue to carry out deadly suicide bombings and abductions in the northeast and wider Lake Chad region. In an interview with The Associated Press last month, Nigeria’s information minister Lai Mohammed said that “today not a single inch of our territory is occupied by Boko Haram” and that peace had largely returned to the northeast.